In today’s protein market; you can find many proteins that sound just too good to be true, but with no scientifically proven functional benefits as well as proteins from sources that you may not necessary trust as they may be heavily processed and use additives, though they are backed up by science. When it’s about reaching your full potential, you shouldn’t have to compromise. Pronativ® protein is naturally rich in nutrients ideally matching your body’s needs. At first glance, Pronativ® and other proteins may look similar, but not all protein is created equal and this makes a difference for your body. One gram of Pronativ® doesn’t equal one gram of cheese whey protein, one gram of plant protein or one gram of collagen – its origin and nutritional values do make a difference. Not a by-product, Pronativ® is produced from one single ingredient: farm fresh milk that is cold filtered to preserve its natural composition. Our protein only contains what your body needs; nothing artificial, no additives, antibiotics or GMOs. Pronativ® has a ratio of amino acids that better matches your body’s needs and makes it easier to turn them into energy. Resulting in a protein which absorbs better than other protein sources and it also tastes delicious. PRONATIV® has shown superior nutritional qualities, particularly interesting for Sports and Dietetics, as well as Clinical nutrition. With over 10 years of Research, Lactalis Ingredients has been able to highlight the nutritional superiority of PRONATIV® compared to a traditional WPI. PRONATIV® is becoming the new standard for the whey protein market and the Sports Nutrition Industry. 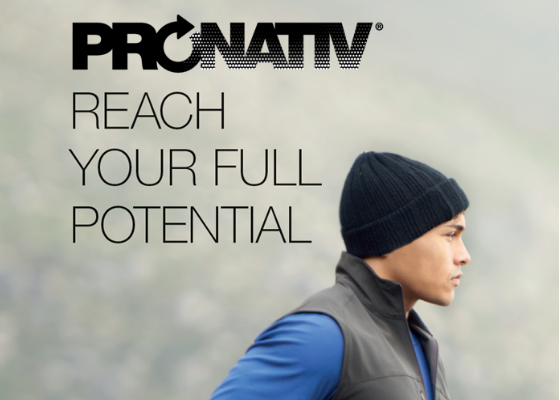 People who are looking for the best are formulating with PRONATIV®. The industry has evolved from formulations containing WPC80 to WPI, and now to a new premium category: Native Whey Protein PRONATIV®. Recent research conducted on malnutrition and sarcopenia has shown that PRONATIV® is a suitable solution for clinical nutrition as well. With high digestibility and consistent minerals profile, this native whey protein is particularly adapted for nutrient dense medical applications. It has been demonstrated that 10g of Prolacta® are sufficient to double the Leucine plasma level only 30 minutes after protein intake and tend to improve physical functions, which is particularly important for sarcopenia prevention. These results have been published or are under publications. References are available upon request. Alongside the successful launch of the first unique native whey protein called PRONATIV®. Lactalis offers consistent and high quality whey and milk proteins and continue to innovate within the dairy industry with products such as heat stable WPC80 and WPI. Combined, these high quality proteins bring stronger nutritional and functional benefits to the sports nutrition, senior health and clinical nutrition markets.